I’m Graham Lester and a retired Nurse. 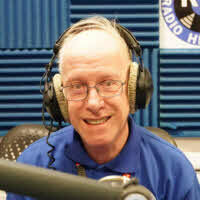 I joined Radio Hillingdon in 2007, having previously helped backstage and at fundraising events on an ad-hok basis. I was asked if I would be interested in ward visiting which I now do once a week to introduce the patients to Radio Hillingdon which is a free service on the bedside Hospedia system. I also assist them to find us and gather their opinions and requests. Since joining I have taken on the role of Membership Secretary which involves responding to email requests for membership, organising and presenting new members evenings once a month and presenting their application to the committee for approval. I am very interested in Classical Music and present a Classical Music Show on Sunday evenings after the request show.